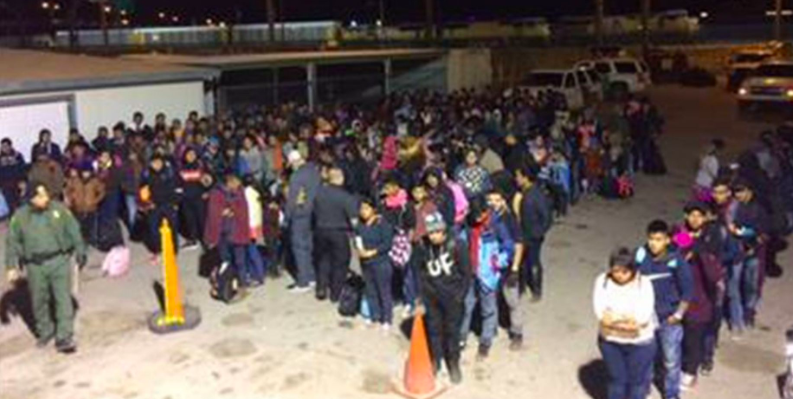 Breaking: Democrats Forcing Border Patrol to Release Hundreds of Thousands of Illegals! We are being invaded. Illegal aliens are rushing the border in numbers never seen before. Democrats prepared for this. They passed a spending package this year limiting how many beds Border Patrol and ICE can have in their detention facilities. When the beds fill up, then they need to start releasing illegal aliens they capture. In just the first three months of 2019, Border Patrol and ICE have already been forced to release 100,000 illegal aliens. And unless Congress fixes this, they will release hundreds of thousands more in the coming weeks! You must stop this before it's too late! Please, send your instant FaxBlast to Congress right now and FORCE them lift the Border Patrol and ICE detention limits, or else be removed from office! You and your colleagues passed a Homeland Security spending package this year that drastically limits ICE and Border Patrol detention funding. Once all their 40,520 beds are filled, US law forces them to start releasing the illegal aliens they capture. Because of the massive immigration court backlog, illegal aliens are not being deported fast enough. The detention facilities are full and now both ICE and Border Patrol are releasing illegal aliens into the country at a record pace. In the past three months, 100,000 illegal aliens have been released from detention facilities. We know that almost all of them will skip their deportation hearings and just disappear into society. We have no idea who these people are. They were released because YOU refused to give Homeland Security the funding to keep them detained. Tens of thousands of illegal aliens are crossing the border every day. Even if Border Patrol catches them, they now have to let all of these illegals go. How many more Americans must die to further your open border dreams? Because make no mistake, that is what will happen if you force ICE and Border Patrol to release hundreds of thousands of illegal aliens into society.